Spending on security for the internet of things (IoT) will reach $1.5 billion, up 28 percent over 2017's $1.2 billion, according to a new forecast from market research firm Gartner. Professional services will account for the bulk of the spending throughout the forecast, at $946 million this year and growing to $2.07 billion by the end of the forecast in 2021. Endpoint security will follow, with $373 million in spending this year, growing to $631 million in 2021. Gateway security spending will increase from $186 million this year to $415 million in the final year of the forecast. Total spending in 2021, the final year of the forecast, is projected to be about $3.12 billion. Gartner also predicts that, despite steady growth, the industry will be held back owing to a lack of implementation of security best practices and prioritization, slowing spending growth by as much as 80 percent through 2020. 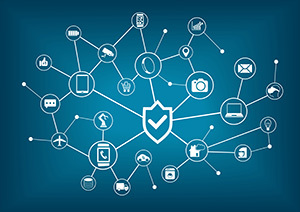 "Although IoT security is consistently referred to as a primary concern, most IoT security implementations have been planned, deployed and operated at the business-unit level, in cooperation with some IT departments to ensure the IT portions affected by the devices are sufficiently addressed," said Ruggero Contu, research director at Gartner, in a prepared statement. "However, coordination via common architecture or a consistent security strategy is all but absent, and vendor product and service selection remains largely ad hoc, based upon the device provider's alliances with partners or the core system that the devices are enhancing or replacing." Policy and design templates that would enable consistent reuse of security features are not widespread and security standards are just beginning to be addressed by standards bodies, industry alliances and other organizations. These all stem from the lack of stringent regulations, according to Gartner, but the company sees that changing by 2021, with regulations becoming the main driver behind an increased focus on security in IoT by that year.